Reducing the global fishing effort would allow fish stocks to recover from overexploitation. WASHINGTON - Fishing less, and better, could generate an additional $83 billion each year for the fisheries sector, creating a much-needed revenue stream in developing countries and improving global food security, according to a new World Bank Group report. 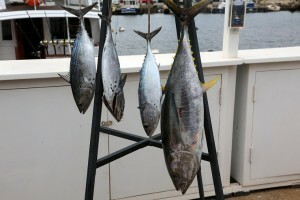 The Sunken Billions Revisited, an update on a 2009 study, shows that reducing the global fishing effort would allow fish stocks to recover from overexploitation and lead to increases in the weight, value and price of fish landed, boosting the profitability of the fisheries sector from an estimated $3 billion a year to $86 billion. It would also lead to more fish being caught and landed, because stocks would have recovered to healthier levels, thus helping meet growing global demand for seafood and improving food security in many countries around the world. “This study confirms what we have seen in different country contexts: Giving the oceans a break pays off,” said Laura Tuck, World Bank Vice President for Sustainable Development. The bio-economic model used in The Sunken Billions Revisited,—developed by Ragnar Arnason, professor in the Faculty of Economics at the University of Iceland—treats the world’s marine fisheries as one large fishery. It examines the mismatch between the increasingly high level of effort put into fishing and stagnant or even declining fish catches, and calculates the incremental benefits that could be derived from global fisheries reform. The analysis reveals foregone economic benefits of about $83 billion in 2012, compared with what could be generated under the optimal scenario. This result is not statistically different from the sunken billions estimated for 2004, which were revised from an estimated $50 billion in the 2009 study to $88 billion in The Sunken Billions Revisited, based on improvements in the model, better data, and adjustment to 2012 dollars. Both figures emphasize the urgent need for reform and the important economic gains that could be made through a more sustainable management of the world’s fisheries.